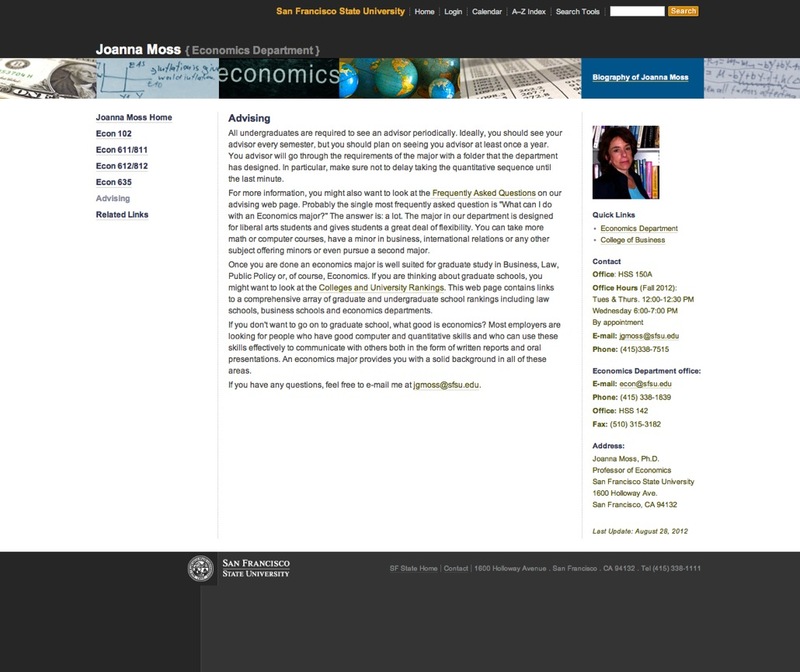 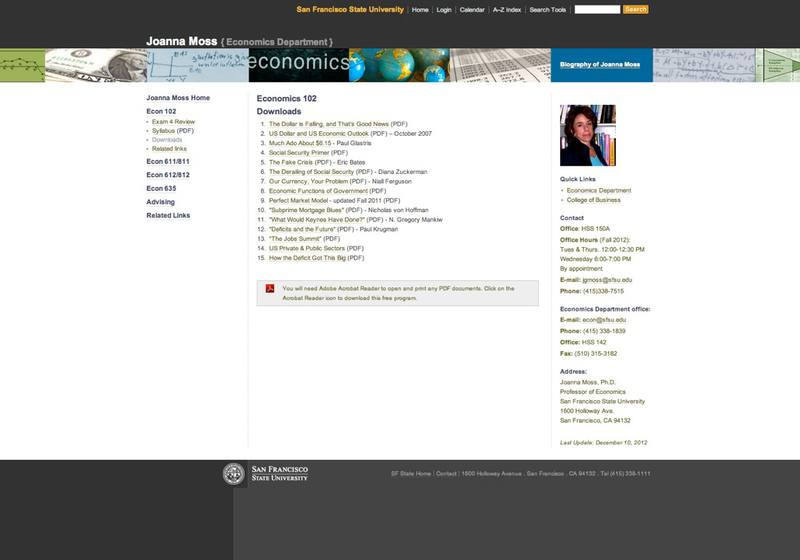 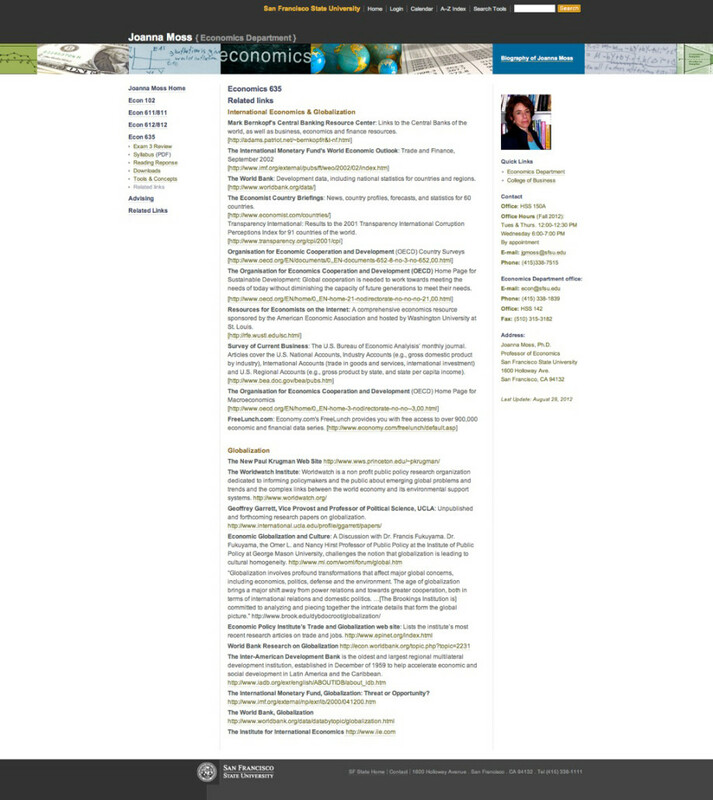 Joanna Moss is a Professor of Economics at San Francisco State University. 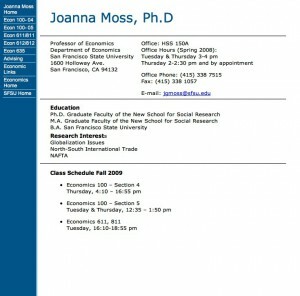 An expert on international economics and globalization, Professor Moss has a Ph.D. in Economics from the New School for Social Research. 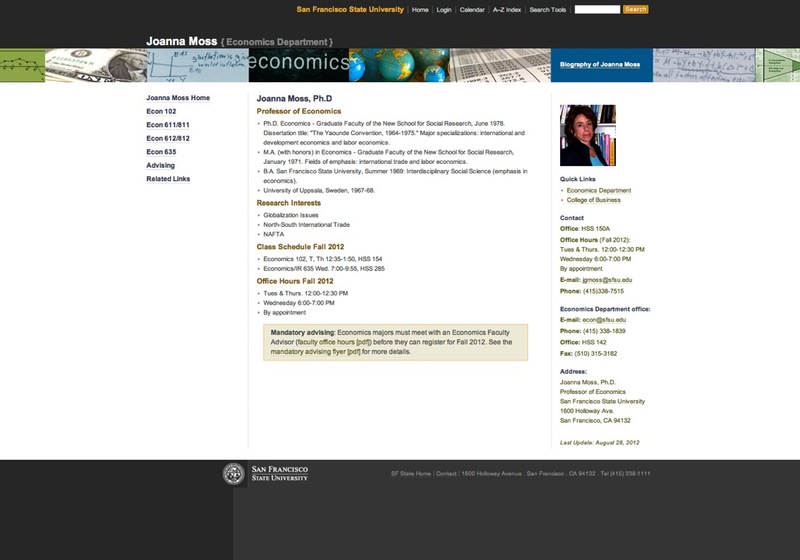 With the school’s rebranding released, Professor Moss wanted to utilize the new University website template, aimed to bring consistency, better branding and increase web accessibility across all University web properties.